The TV arm of the Marvel Cinematic Universe is getting bigger all the time. While Netflix has The Defenders and The Punisher on its upcoming slate, ABC is expanding its Marvel line-up with Inhumans. Meanwhile, Freeform is signing up Cloak and Dagger and sitcom New Warriors, and streaming service Hulu is also looking to get in on the action, as they’ve been developing Runaways, which has now received a series order. 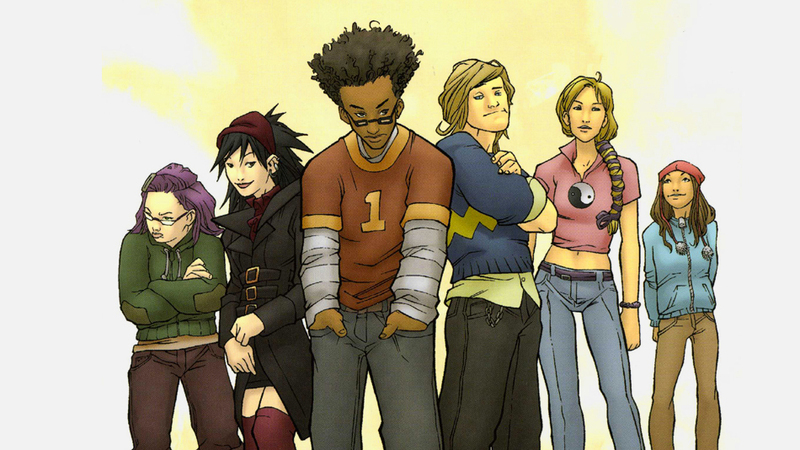 Deadline reports that Hulu has upgraded Runaways from their original request for a pilot with back-up scripts to a full first season. Courtesy of the company’s upfronts presentation, we also have our first teaser trailer for the show, as well as the first image of the central cast – both of which can be seen below. In case you’re unaware, Runaways is an adaptation of the hit teen-oriented comic book series from writer Brian K. Vaughan and artist Adrian Alphona. It follows a team of six diverse adolescents who discover that their parents are part of a supervillain group known as The Pride. Using the various powers, technology and other gifts that they’ve inherited, the so-called Runaways work to stop their parents’ evil schemes. The show will be led by Rhenzy Feliz as Alex Wilder, Lyrica Okano as Nico Minoru, Virginia Gardner as Karolina Dean, Ariela Barer as Gert Yorkes, Gregg Sulkin as Chase Stein and Allegra Acosta as Molly Hernandez. The Pride includes Ryan Sands, Angel Parker, Brittany Ishibashi and, most notably, Buffy the Vampire Slayer star James Marsters. The showrunners are Gossip Girl creators Josh Schwartz and Stephanie Savage. The rest of Runaways is currently a mystery, as we still don’t know how many episodes the season will consist of or exactly when it will air. We’re pretty certain, however, that it will be with us at some point in 2018, and if that’s the case, you can expect to see a lot more from it in the coming months.